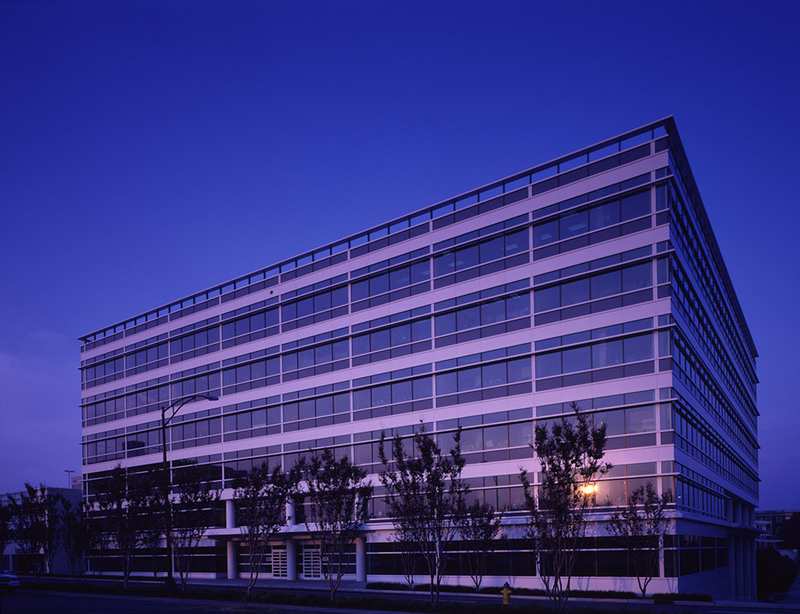 North-Carolina-based Wachovia Corporation, acquired by Wells Fargo, maintained its headquarters in thriving Winston-Salem, North Carolina. 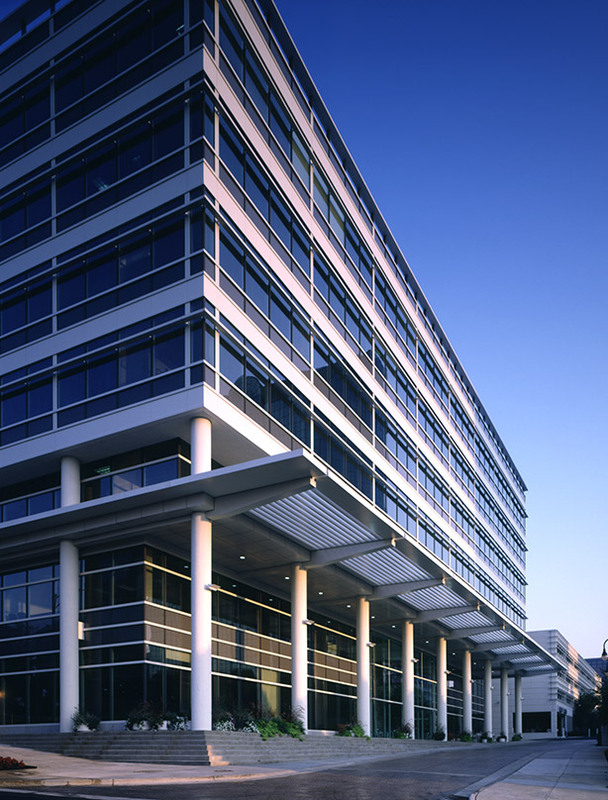 Wachovia Park provides an additional 250,000 square feet of office space to support the adjacent Wachovia headquarters complex. 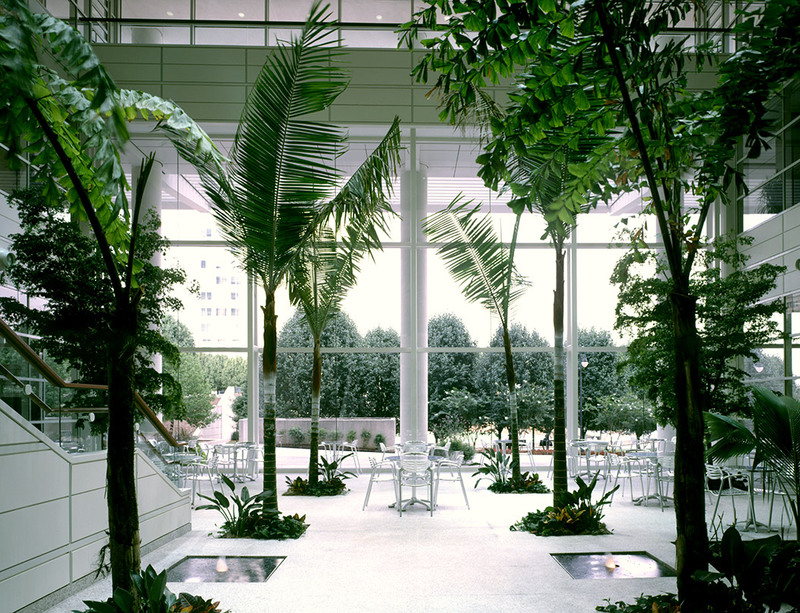 The low-rise building complements the existing Wachovia Tower and defines a strong edge for Corpening Plaza. Throughout the design process, the project team worked to create an employee-centered workspace. 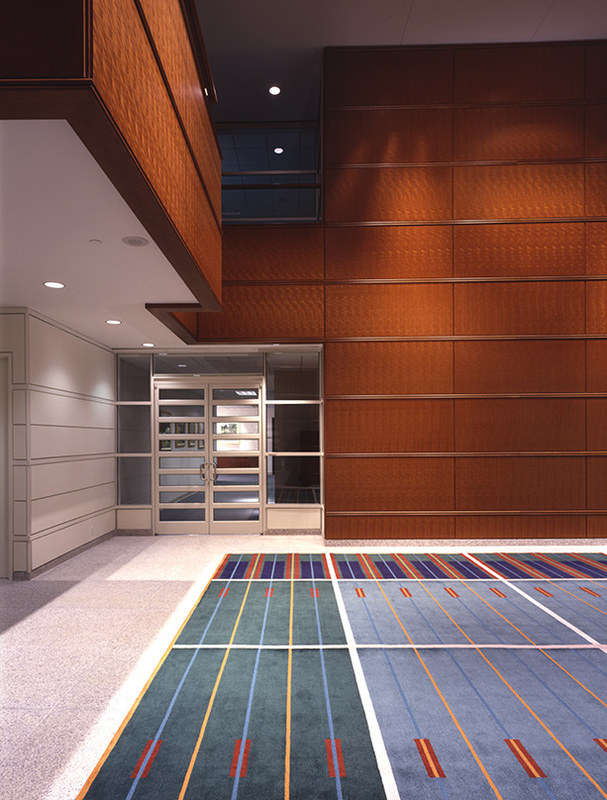 The building is richly detailed throughout, with cherry wall paneling and a custom-designed entry carpet. 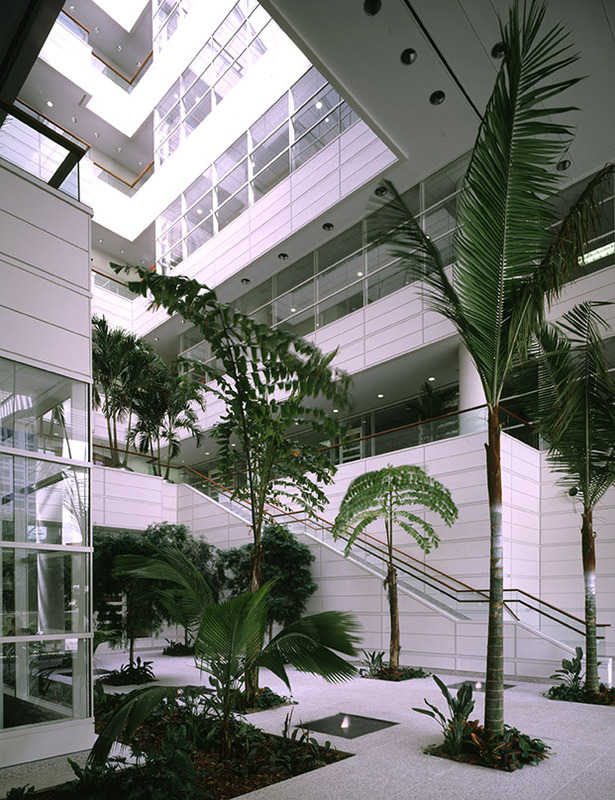 A skylit atrium containing fountains and tropical plants brings light and life into the heart of the office environment. 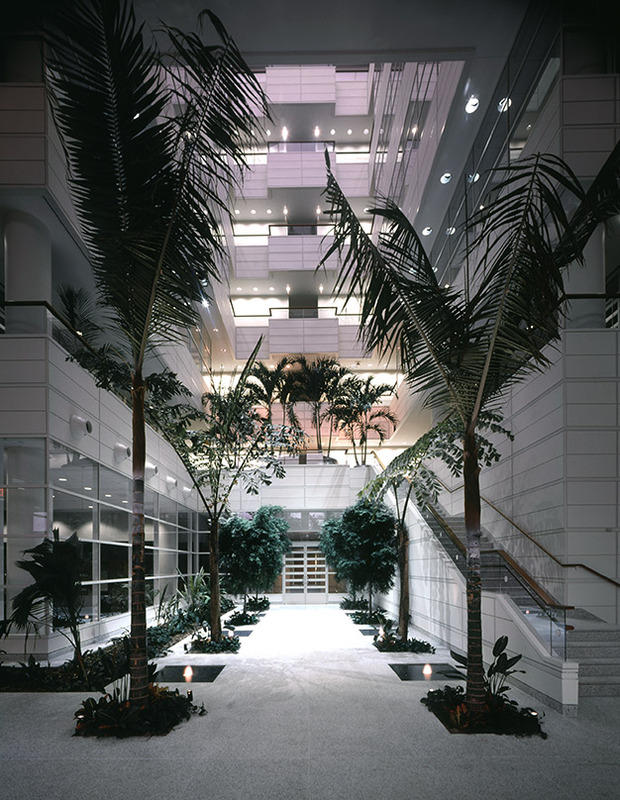 Floor-to-ceiling windows overlook the adjacent public plaza and fountains, and the generous nine-and-a-half-foot ceilings disseminate light throughout the office spaces, while also creating a more comfortable work setting. 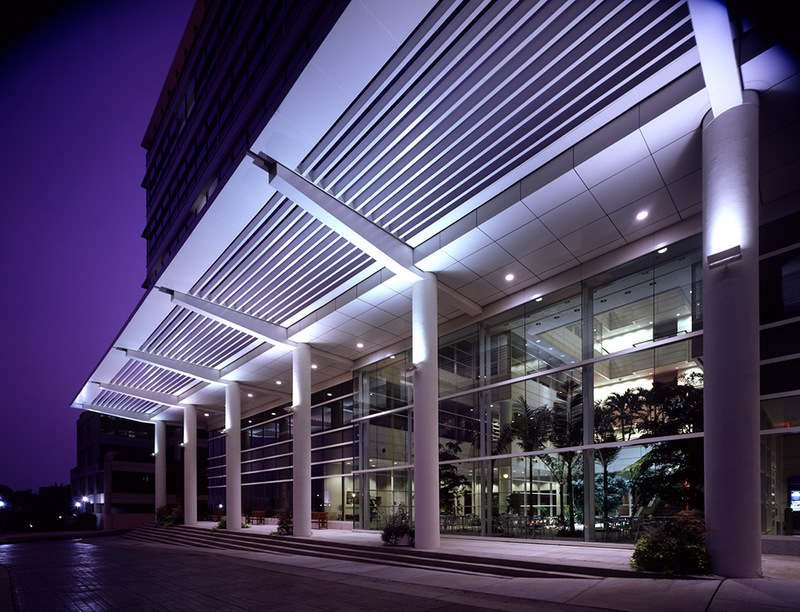 A deep, distinctive sunshade mitigates solar gain at the lower levels, while smaller horizontal fins on the upper floors similarly help to create a more comfortable, energy-efficient work environment.